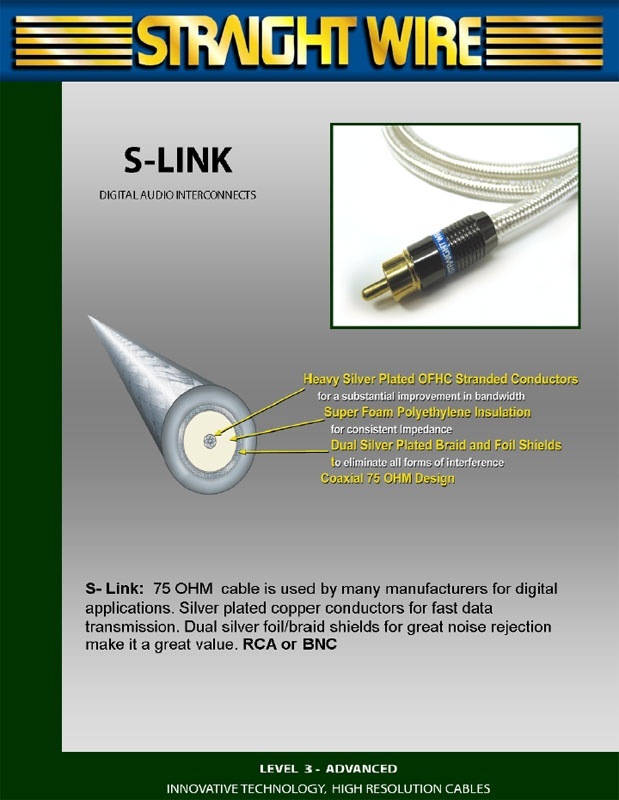 S-LINK 75 OHM cable is used by many manufacturers for coaxial digital applications. Heavy Silver plated copper conductors for fast data transmission. Dual silver foil/braid shields for great noise rejection and nitrogen gas expanded PE enable it to convey all digital data with great accuracy. 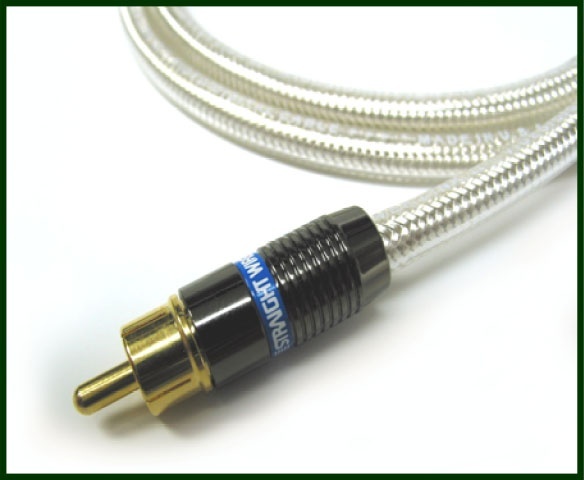 Consider this cable for higher quality CD players and better AV receiver based systems.